Transit authority Régie Autonome des Transports Parisiens (RATP) has awarded Siemens a €70m contract to automate the 12km-long metro Line 4 in Paris, France, in order to allow driverless operation. As part of the deal, the company will equip 27 stations on the line with signalling and operational control systems, and the work is scheduled to be completed in 2022. According to RATP, fully automatic operation can increase the capacity of this line by about 20% because trains will be able to run at shorter headways. "The automatic control will allow it to reduce energy consumption by up to 15%." Siemens Mobility CEO Jochen Eickholt said: "Siemens has equipped about 300km route worldwide with signalling technology for fully automatic operation, making it the market leader in this field. "Automatic operation will enable Line 4 to offer a service interval of 85s. At the same time, the automatic control will allow it to reduce energy consumption by up to 15%." Scope of work will include installation of Siemens' Trainguard MT automatic train control system that uses communications-based technology to achieve fully automatic, driverless operation. The operation control center supplied by Siemens will be used to monitor all train movements. 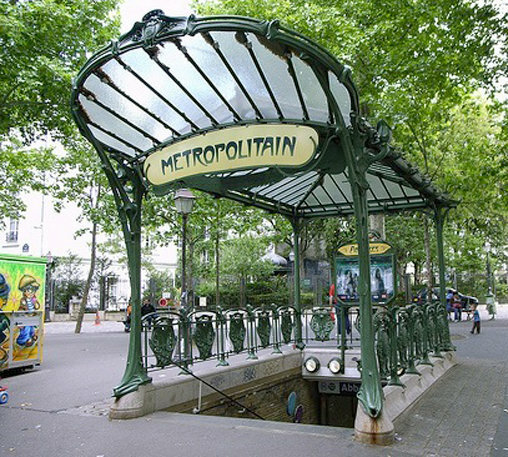 Around 700,000 passengers use the Line 4 every day, which is claimed to be one of the most frequented sections of the whole Paris mass transit network. Paris Metro Line 4 is also the most important north-south metro link in the city that connects the stations of Porte de Clignancourt in the north of the city and future station Bagneux in the south. In addition to Line 4, Siemens has also installed Metro Lines 14 and 1 for driverless operation. Line 1 connects the east and west of the city along 17km of track. The company also recently supplied important signaling components and systems for Lines 3, 5 and 9. In 2013, RATP secured approval from Ile de France transport authority STIF to convert Line 4 to fully automated operation.